Compared to the tepid smartphone market, the smartwatch industry is positively booming. Of course, there is a big reason for this. Product penetration remains low, meaning that there are many individuals who have yet to purchase one. According to a new report from NPD Group (via Android Authority), for the 12 months ended in November 2018 (the latest month such data is available), unit sales of smartwatches in the U.S. rose 61%. To prove that pricing has been coming down, sales of such devices were up 51% over the same period, nearly hitting $5 billion. The report notes that 16% of U.S. adults now own a smartwatch, up from the 12% that owned one back in December 2017. 23% of those in the U.S. aged 18-34 own a smartwatch, with that demographic group accounting for most of the device's growth in the country. 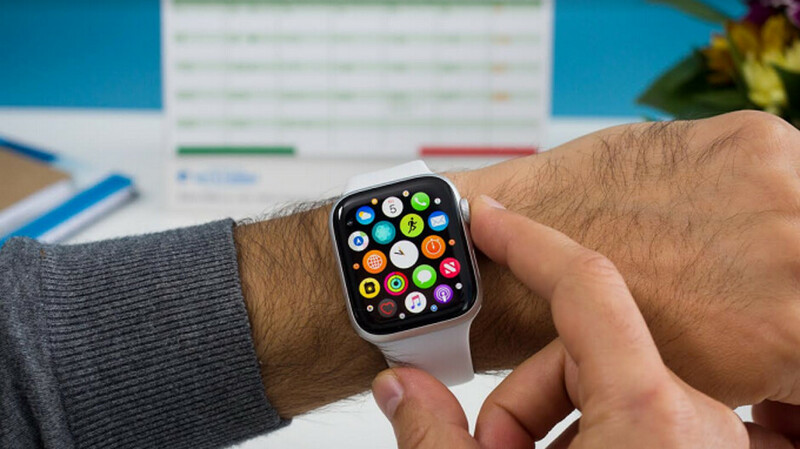 While many see a smartwatch as a device for active people to track their workouts, 15% of those in the states use a connected timepiece to control their smart appliances. The more applications that consumers find the smartwatch useful for, the stronger growth will be as penetration rises. The Apple Watch has been known for saving lives due to the heart rate monitor on the device. And with the electrocardiogram found on the Apple Watch Series 4 also making timely alerts, Apple has been able to reap the rewards from the publicity that such stories receive. While the report states that Apple is far and away the leading smartwatch manufacturer in the U.S., just three names combined to account for 88% of smartwatch unit sales over the 12 months. Those manufacturers are Apple, Samsung and Fitbit. Sure 1 to 2 is 100% grow. Only interesting in $ portion. Where are the haters? Oh, here is one ^^^up there. Haters? Hmmmm Good numbers I guess. But shaming smartphones is a stretch to say the least and not even comparable. Growth for a niche product versus what's become an essential product is like comparing Electric car growth to regular cars. Edit: It's like comparing the Pixel as the fastest growing US smartphone brand to iPhone and Samsung growth figures. I got one this past summer when they put the Gear 3 Frontier on sale. Didn't think I would like it but once I saw how many times I DON'T have to fish my phone out of the belt clip case to see what beeped, rang or buzzed, it was worth it for me. Also tracking heart rate & sleep is a nice addition. Still need to be cheaper. Solid $100-$200. Smartwatch is pointless for the most part. Most people see no need for one.